Though Dr. Brooke fell in love with chiropractic when she started learning more about the profession, it wasn’t the path she had originally chosen. She was working as a marketing manager for several years but felt something was missing. “I wanted to serve people and help them have a better quality of life.” The natural, wellness-based approach of chiropractic appealed to her, and she left her career to obtain a chiropractic education. She attended Palmer College of Chiropractic in Davenport, Iowa. 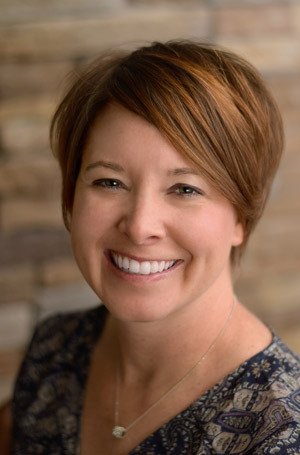 Though Dr. Brooke had first thought she’d specialize in sports chiropractic, her nieces were born during her years at Palmer and she became passionate about caring for children and learning more about their health. While at Palmer Dr. Brooke was inducted into the prestigious Vogt Leadership Society and graduated as valedictorian of her class in October 2015. Dr. Brooke has a passion for full-family care, with a special interest in pediatric and pregnancy care. She is certified in the Webster Technique and has completed several additional courses and training with the International Chiropractic Pediatric Association. Hailing from the Green Bay area, Dr. Brooke was happy to come back home to practice. When she’s not at the office, she enjoys spending time with family, and cheering on the Green Bay Packers. Being active is important to Dr. Brooke and she loves mountain biking, camping, hiking or snowboarding. Are you ready to experience health and wellness? We welcome the opportunity to show you all chiropractic can do for your life. Contact us today to book a free consultation!